In the retail world, summer is historically a slow season, lacking the massive shopping holidays other seasons present. Yet, big box retailers aren’t letting the summer blues affect their bottom line. Instead, notorious brands including the likes of Amazon and Walmart are launching “Christmas in July,” a series of sales through which these retailers will drastically lower prices in an effort to increase sales and jumpstart the holiday season peak, well before back to school shopping begins. For smaller brands, this Christmas in July trend, the performance data of which will likely be released later this month, is a reminder that no business need wait for the calendar to dictate their sales. Instead, you can create holidays and special moments on your own. But, without the media reach of a retail giant, is it even possible for a small business to implement an Amazon-like Prime Day playbook with any true success? Rest assured, whether it’s Amazon’s summertime twist on Black Friday, Target’s sixth-annual Christmas in July sale or Walmart’s new rollback announcement, each of these summertime sales are much more than a quick media charade. Studies show that repeat customers spend 25% more per transaction during the holiday rush, compared to a new customer who spends only 17% more during the holiday season. To capture that repeat audience, the big box retailers are acting now — getting their brand’s first touch with a customer out of the way long before temperatures begin to drop. Still don’t believe any of these summer sales events are all about catering to current customers? Take a look at Amazon Prime Day, announced with great fanfare on July 6. There is no waiver of a fee, no attempts to lessen the $99 burden on any potential new Prime customers. Instead, the entire event is about providing value to already existing customers and increasing brand sentiment among consumers who will (in only a few short months) be looking to purchase in bulk for the holidays. A 10% increase in customer retention levels result in a 30% increase in the value of the company. “When the holiday season does come, maybe that person who had a wonderful experience shopping in July remembers to come back [to that store], and will spend their holiday dollars there, or their Halloween dollars or their birthday dollars,” Kathy Allen, spokeswoman for the National Retail Federation, told USA Today. Keep in mind, as well, that the recent timeline of off-season sales isn’t only about being the first to launch the promotion, but also about being a brand that reacts appropriately and quickly. Walmart, for instance, used Amazon’s Prime Day announcement to further their own customer loyalty and brand identity. Using your brand identity to out-market your competitor is a smart strategy. Then again, so is underpricing them. Take a look at underdog Jet.com, a site currently in beta on which consumers can buy items for 5-6% lower than on Amazon itself. 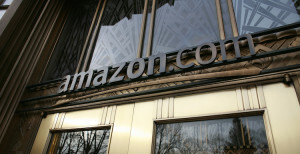 Better yet, consumers can do so for less than half of Amazon Prime’s membership fee. Indeed, even Amazon can be a bit shaken by an up-and-coming competitor with strategically low prices. In fact, some experts are calling Amazon’s Prime Day an event launched solely to capture and retain as many Prime customers as possible before the full Jet.com rollout later this year. For SMBs looking to nab some summertime dollars and boost their annual ROI, remember that any successful promotion is reliant on the ability to strike a balance between providing worthwhile discounts for customers while still being able to produce a profit from each sale. While the average SMB may not be able to offer exclusive deals every 10 minutes, they can still foster an experience that is worth the customer’s participation. Take, for instance, the summer sale code used by online store Hook and Albert. 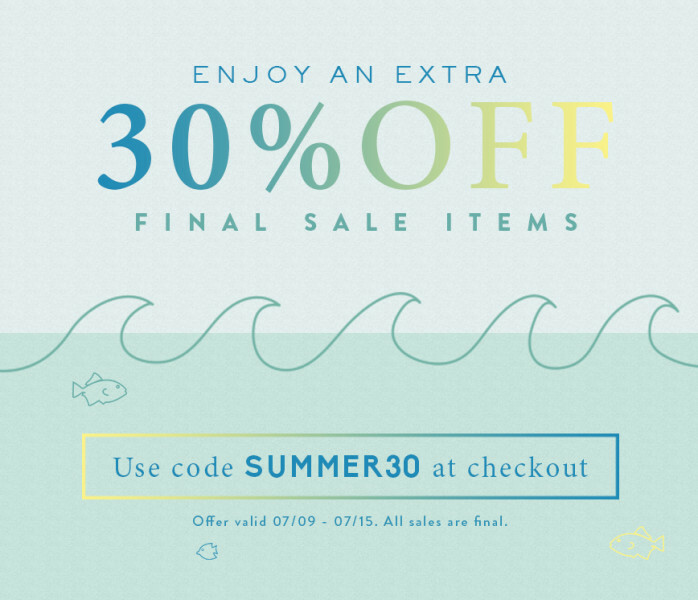 As summer nears an end, the brand is offering a lower, final sale price with code Summer30 at checkout, for a 30% discount. This allows the brand to offload summer merchandise, making room for newer fall items, while offering value to customers and increasing their revenue on all summer items as a whole. In all, learnings from the large-scale Christmas in July sales is not about applying these tactics directly to your small businesses, but recognizing instead the customer loyalty intentions that fuel them. In order to make the most of off-season sales, small online businesses must identify the most profitable customer promotions and offerings, keeping in mind that convenience and originality often win consumer sentiment and loyalty. Whether you’re considering implementing a hassle-free process of trying on clothes or a commitment to free returns, the creativity and customer service will be worth the return on investment.